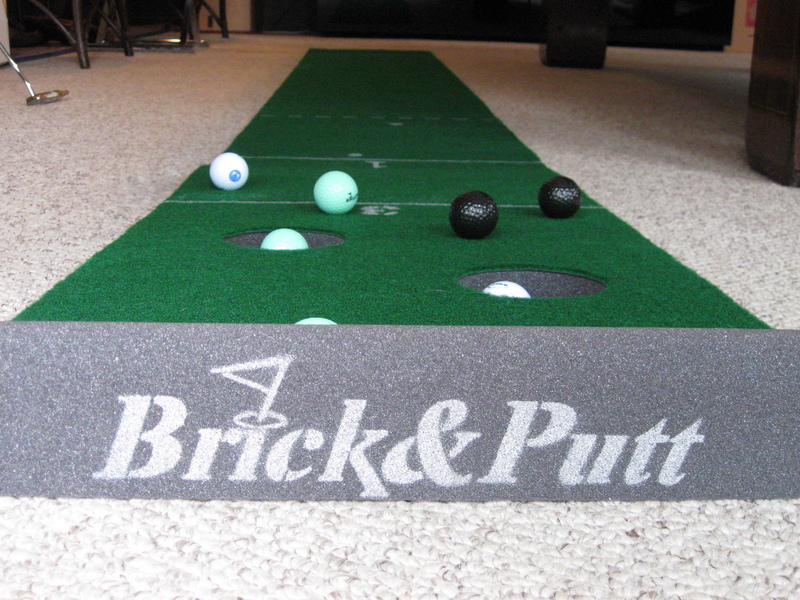 Brick&Putt is a collection of fun putting games played on a custom course. 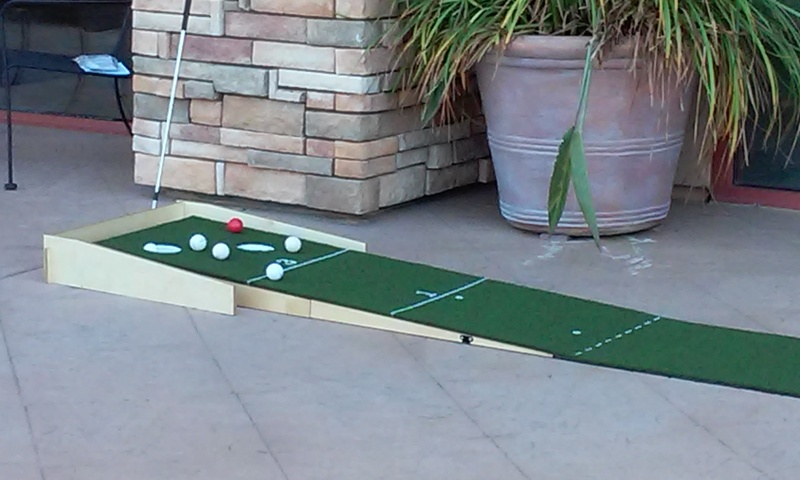 Practice your putting skills any time, or help your kids learn golf on professional turf. 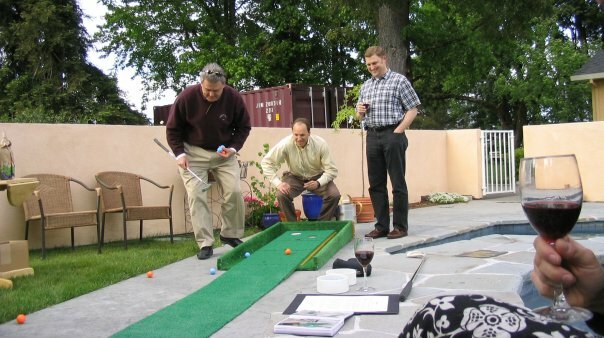 Brick&Putt is a fun challenge for golfers of all ages and skill levels. Its simple, the more Brick you play the better putter you become! This game can be summed up in 3 words: FUN, CHALLENGING and ADDICTIVE!!! Whether I am playing a friend or putting on my own, this is one game you can literally play for hours. It’s a great break from computers, TV, video games and anything else that requires you looking at a screen! Once you play this game and learn some of the alternative games created especially for this “course”, you will want to play them over and over. The cool thing about this is that anyone can play. You don’t need to be into golf to even participate. I like the ease of being able to play this game anywhere (the hallway, living room, outside patio, garage, etc). Thanks for a great new game everyone can enjoy!